Welcome to my summer Frozen Yogurt Sandwich post! The whole family is having a great time enjoying the sunshine and water this summer and Miss Sassy Pants had her first boat ride, which was a blast. She kept telling uncle to go faster, and her no-fear attitude has me a little worried for when she turns into a teenager, but I guess that’s future mommy’s problem! 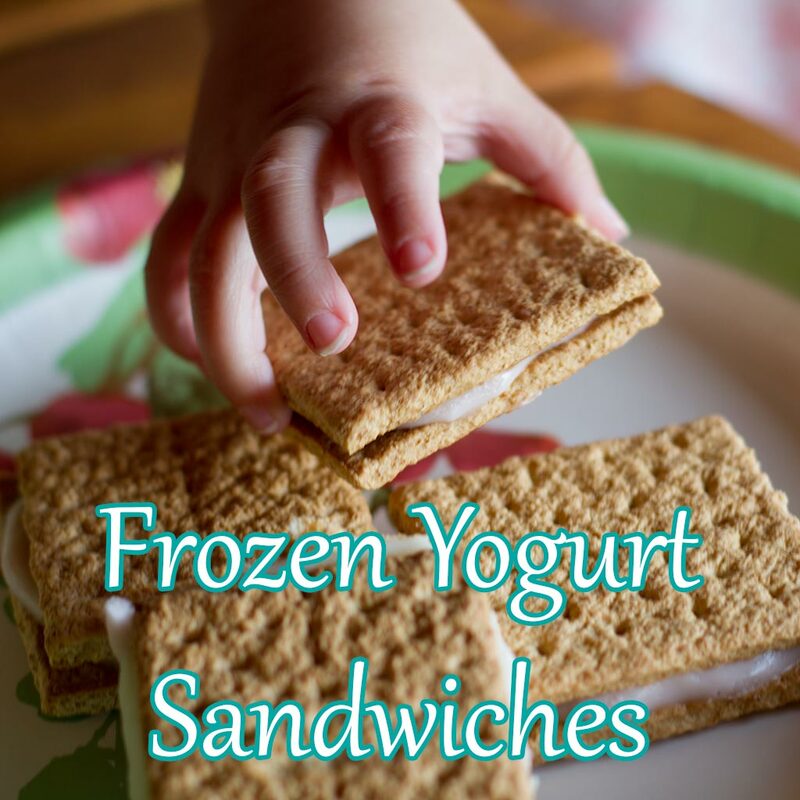 Since summertime is in full-swing and cold treats are in high demand, I decided to whip up some delicious frozen yogurt sandwiches for the entire family. They are quick, easy, super cheap, and healthy! Check out the picture of the little hand taking an opportunity to swipe another one! Not to state the obvious, but they were a big hit with the entire family. Here is the REALLY complicated part… break graham crackers in half. 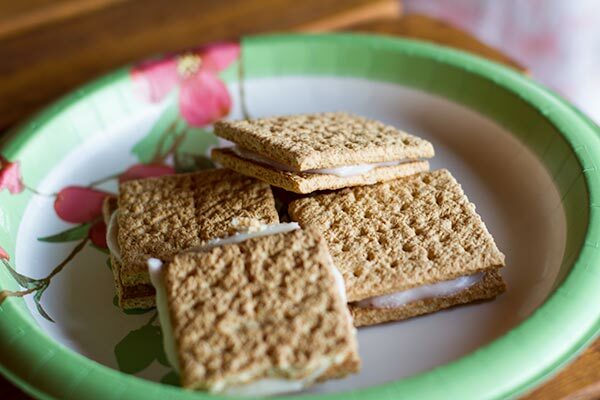 Spread your yogurt of choice on the graham cracker…thickness is up to you. Place other half of graham cracker on top then place completed frozen yogurt sandwich in a sealable container and then put that container in the freezer. Allow for the frozen yogurt sandwiches to set in the freezer, which should take about 60 minutes before enjoying. 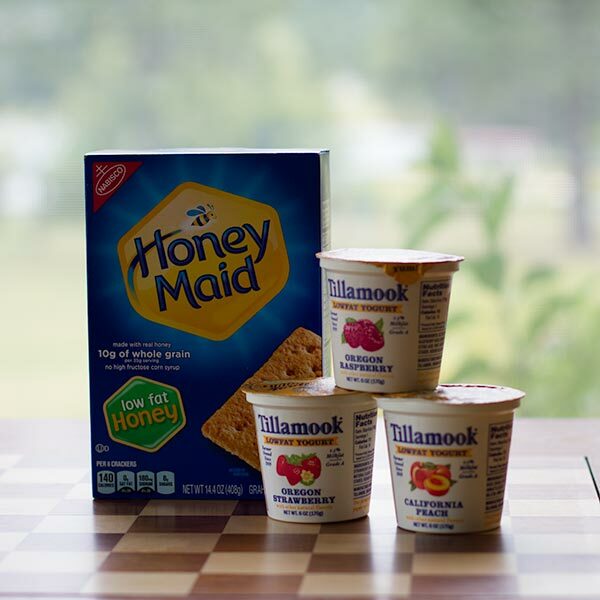 I chose to use honey flavored graham crackers and yogurt flavors, peach, strawberry, and raspberry. I hope everyone enjoys!